Keeping those pearly whites pearly is the primary focus of oral hygiene, yet for people missing teeth due to congenital defects, tooth decay, or a recent encounter with a softball, more than a smile is at stake. Missing teeth affect speech, diet, function, and stability of the entire dentition. Thankfully, you have several options for filling out that smile. A dentist may opt to use removable appliances to replace your missing teeth, but this option rarely works as a permanent solution for tooth loss. The “first line” option for replacing missing teeth includes dental implants, but we don’t live in an ideal world. In some situations, dental implants just aren’t feasible, and we must instead fabricate a conventional fixed bridge to stabilize a false tooth between two existing teeth. Various methods make this possible: including the connection of a false tooth between two crowns fixed to the healthy teeth on either side, or securing a single false tooth to an original tooth nearby. Dental bridges are secure fixtures, and with good oral hygiene they can remain serviceable for many years. East Tennessee Prosthodontics uses durable materials including high noble alloys, ceramics, and porcelain to construct strong dental fixed bridges that will match your original teeth as closely as possible. We begin by assessing the problem and ensuring that the use of a fixed bridge is the best option. Detailed planning of the case will follow, along with careful preparation, or “temporization,” of the neighboring teeth for the bridge. 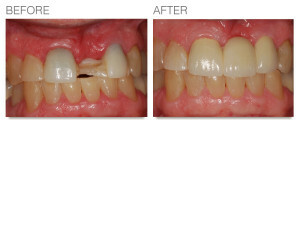 In a few short weeks, you will receive a definitive fixed bridge prosthesis to replace your missing tooth, or teeth. If you’re wondering whether a dental bridge is the right option for you, then call East Tennessee Prosthodontics today at 865-769-0886. Your new pearly whites may be only a phone call away.